Dozens of opposition legislators have received death threats and are scared stiff for their lives, pushing for a government probe into the intimidation. Spooked Members of Parliament (MPs) who spoke to the Daily News yesterday said they were particularly worried about the fact that the real intentions and next move of the people behind the chilling death threats were not known. A number of the affected legislators also said they were concerned that this was the fourth time in a row that MDC MPs had been sent the death threats on their mobile phones by suspected security agents, without authorities being able to shed light into the matter. This week's threats came just after police forcibly removed some opposition MPs from Parliament after they refused to stand up for the President, Emmerson Mnangagwa. 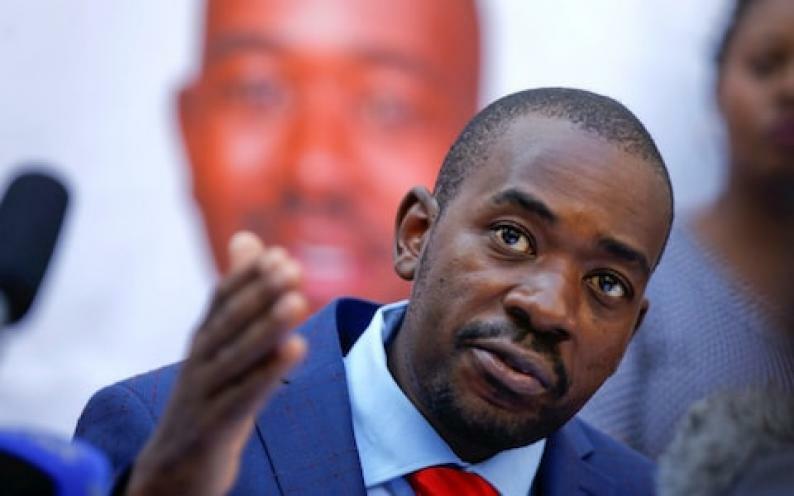 The MDC lead by Nelson Chamisa - who is not a member of Parliament and lost a court challenge to Mnangagwa's win - maintains that he was cheated of victory by the electoral body and says the 76-year-old president lack legitimacy. MDC national chairperson Thabitha Khumalo forwarded the received threat messages to this publication, that originated from "text.co.zw" - a bulk message system that is used by Parliament. The message reads: "Zita rangu ndinonzi 'Death.' Mafreedoms nemarights amunoda kukoshesa aya be careful kuti security in numbers haiwanzobatsiri kana wawega, we are gunning for u!" Khumalo said: "If you look at the top message before the one that was threatening me, it was a message that was coming from the external relations officer who was instructing honourable members to collect some documents from his office. "Now what boggles my mind is what is it that I have done wrong that is outside the rules and norms of Parliament. I have followed every single standing rule including the Constitution of Zimbabwe articulating issues that I have been sent by the people of Zimbabwe to come and present." Speaker of National Assembly Jacob Mudenda said: "I am not in the country at the moment. I am not aware of the proceedings." Clerk of Parliament Kennedy Chokuda said the Legislature would never churn out such messages, moreover on a public platform. "The bulk SMSs we send are sent through a public platform. I have said to them (MDC legislators) there is no manner in which Parliament could send such threatening messages. Those who received these messages should report to the police," Chokuda told the Daily News. Khumalo said: "Intimidating me will not turn the economy around, intimidating me will not bring drugs to hospitals, intimidating me will not create employment. "Sending me threatening messages is a violation of my rights as a member of Parliament because in what I do and say in Parliament, I am immune. So, they are violating my immunity, and I am very disappointed the Parliament of Zimbabwe would want to stoop that low and intimidate me for carrying out my duty as the leader of the House." Khumalo said she was not fearful of the regime and its tactics. The legislator said Zanu-PF should listen to the electorate, insisting that they will not stop refusing to recognise Mnangagwa ostensibly because Chamisa won the 2018 harmonised elections. "Instead they must listen to the people; they must listen and listening has become a lost art when it comes to Zanu-PF. They have got the 'me and I syndrome' and those days are gone," she said. "People are suffering; they want change. All they must do is just hand over power to Nelson Chamisa and we start turning the country around; it's as simple as that." MDC spokesperson Jacob Mafume said several MDC MPs had also received the threatening messages. Mafume said the "regime" was showing its "true colours". "They are tired of playing the 'nice guys' for the donor community. They are now showing their true colours of intimidating and threatening. That only shows us that we are in the right direction. We are not scared of their infantile methods of fighting."